Pool has always been a pretty large part of my life: I grew up playing in bars while my mom worked and while my family just hung out downtown (small towns allow small children into their small bars). I distinctly remember playing pool with my first crush, barely able to see over the table, and the joy I had in winning the “game,” (Although let’s be honest, it was not a legitimate game of pool, throwing the balls around and hitting at them with bar sticks). In high school I participated in leagues, we lied about my age so that I could play in different bars around town on Tuesday, Wednesday, and Thursday nights (15 to 18 isn’t that big of a difference, right?) and I played in countless different bar tournaments. I bought my first intermediate flute with money from pool tournaments and I played pool every night from as soon as the bus dropped me off at the bar until I went to bed. Pool permeated my life in a way that didn’t negatively affect my school, music, or sports. I somehow managed to do it all while playing ridiculous amounts of pool around town. Unfortunately my undergraduate degree brought on insane amounts of practice with the flute: rehearsals, concerts, and classes. Studying both music and philosophy I rarely had the time to go to the gym and eat food, much less go to a bar to throw down some money and play some pool. So for years I took a pool hiatus 9 months out of the year. 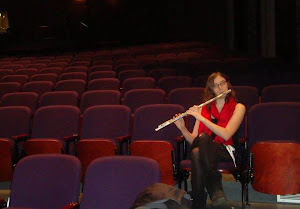 But then I moved to Laramie to pursue a graduate degree in flute performance. It was here that I saw a sign for a pool tournament on campus, a tournament I enthusiastically signed up. Things weren’t going well between my then-boyfriend and me and I needed to do something that reminded me of who I was. This tournament was it. I later learned that it was a regional qualifier, the very same tournament that brought me to the ACUI regionals in Salt Lake City where I finished undefeated as the number one seed for nationals. Pool made a sudden, unexpected comeback into my life and I have shamelessly embraced it. Now I play in weekly tournaments here in Laramie, sometimes traveling down to Fort Collins for the tougher competition and the better tables. I have been watching professional matches on YouTube in between practicing the flute at school and at night while I wind down from the day with a glass of wine. So it’s not surprising that I have been jumping at the opportunity to travel to see the pro’s play and to test myself against better competition. My first trip of this sort happened on March 23rd when I drove down to the Denver pool hall Felt to see Nick Varner and Thorsten Hohmann play, with the intentions of playing in the 8-ball barbox tournament. Unfortunately due to the weather I showed up too late for the tournament to work out, but watching Nick and Thorsten play and hearing what they had to say about pool got me even more excited about the sport. There’s just something about watching a live match over a YouTube match that is just super exciting. Which brings us to this last weekend. Oddly enough the University of Wyoming had Good Friday off for an Easter break, which turned out to be a convenient day off for me as a pool fan! I had known about the sixth annual Platte Valley Open pool tournament in Saratoga for a while, but I decided at the last minute that I wanted to shoot in the tournament. The final draw was hearing that Shane Van Boening was going to be there, because Shane is the pool player of my dreams right now. I have watched almost every one of his matches on YouTube and am always on the lookout for new matches of his online—whether nine ball, ten ball, barbox or large table, straight pool, anything. So hearing that he was going to be shooting pool at a place that was mere hours from my apartment was enough to get me to hop in my car and drive. I decided to try my hand at the Classic division and somehow managed to get in. With a $100 entrance fee, a $120 motel room fee, $30 for gas, and money for food and drinks, I was definitely stretching my financial situation for this tournament. And it was so worth it. Although I lost my first match to Richard Case, a man that I would later become friends with, my first day in Saratoga was amazing. I was there with my buddies Scott Maloney and Delilah Ye Feng, and was in the midst of cheering on Scott when I heard that Shane Van Boening and Rodney Morris were in the finals of a mini-day tournament at the local bar, Duke’s. I shamelessly bailed on Scott to go watch the match. Shane and Rodney were playing a strange hybrid of 8-ball and 9-ball that EJ had devised solely for this tournament and that I had never seen before. So, unsurprisingly, I stood by a fellow pool player and struck about a conversation about the ball colors and the numbers. You see, for this Saratoga game (that’s what they dubbed this unique hybrid) the numbers 1-6, 7-12, and 13 were used, omitting the 14 and 15 balls—and the numbers did not match up to the typical ball numbers. 1 in normal pool is yellow, 1 in this game was green, and etc. So I asked the fellow next to me which was which and we started chatting (I think the ball colors matched up with snooker ball colors, but I’m still not sure). After the match was over I kept chatting with the same pool player until an acquaintance of mine from Laramie wandered over and challenged me to a game. I didn’t want to be rude to my new friend, Jim Calderon, and just go play with this other guy, but he waved me ahead so I played a game. I won the match after playing much better then I had in my match earlier that night. Typical. I always shoot better in the hours after a tournament. It was then that Jim seemed to take an interest in my playing and he and I started shooting against each other. Over the course of the next few days I learned more about my game from Jim then I have from any one other player. Because you see I never had a coach or anything like that. Nobody decided to teach me pool; I simply picked it up and worked it out. I’m always complimented on my stroke, which is long and even, and lately as I have been entering the pool world I’ve had a few people ask who taught me. But I can’t really say, so I say I taught myself. That’s why playing with Jim was a fresh new experience for me—he gave me good advice about my bridge hand, he questioned my shot choices, forced me to think about my leave, had me re-do shots that I missed until I got it, and just in general helped me out a lot with game. But not in an obnoxious way; instead we just played pool, sometimes I won, sometimes he won, and he corrected any problems that came up. You might ask yourself why I, a young 22 year old girl, would drive to the middle of nowhere to watch pool, play pool, watch more pool, and then play pool until 3 a.m. and then 6 a.m. the next day. And honestly, all I can say is that you aren’t a pool player if you have to ask that question. Despite only winning one match in my division, and honestly shooting pretty awful pool on my part, I am so glad that I went out to Saratoga. On Saturday I started playing pool at 10:30, took a brief break around noon to get a new tip on my cue, started up again at 1, and played until 4 when I then went and watched matches until midnight. After midnight I went straight back to the bar and proceeded to play with Jim until 6 in the morning. The only thing sending me to bed was the knowledge that I had to wake up at 10 a.m. to check out of my sketchy motel; otherwise I would have kept playing all night long. I watched Shane Van Boening and Rodney Morris battle once each day of my elongated weekend, I watched Raj Hundal, Stevie Moore and countless others play. I played for so many hours that I honestly couldn’t even tally them up. And I got to meet tons of people who were passionate about pool as well. Many of these people were people like Jim, players in the Master’s division who seemed surprised at my passion for pool and my insatiable appetite for the sport. I learned their names (promptly forgetting most of them, unfortunately, I have a terrible memory for names), watched them shoot, and talked to them afterwards. I watched matches with them and talked about how when I watch a pro match I like to hypothetically run the table in my mind—picking a pattern of balls (1-3-5-4-2-6-7-8 for example) imagining what my cue control would be—and then I would compare that to what the player did. One player in particular would ask me at each table what I would do, or in the middle of a table how I would fix a problem ball or etc., and I was always proud when Shane or Rodney would do exactly what I said I would do. Hypothetically of course, I can see the shots, but I am working on the cue control to make them happen. But honestly, just being able to predicate the shots of a champion like Shane Van Boening really makes me feel good about my future in the sport. I am excited to play in future tournaments, I am excited about the prospect of practicing and bettering my game, and I am excited about where I could be in the next few years. The power of youth is infectious and this is the first time I have noticed it: at 22 years old, I can do anything I want with my life, I have a long time to live it, and the open ended nature of it that I have bemoaned in the past finally feels liberating and exciting. I can honestly say that I hope to make something of my pool playing while also working on my music. Maybe someday I can gig at pool halls with a jazz combo and play in tournaments on the side. That would be a good life.